Reproduced from the September/October 2017 issue of Realscreen. 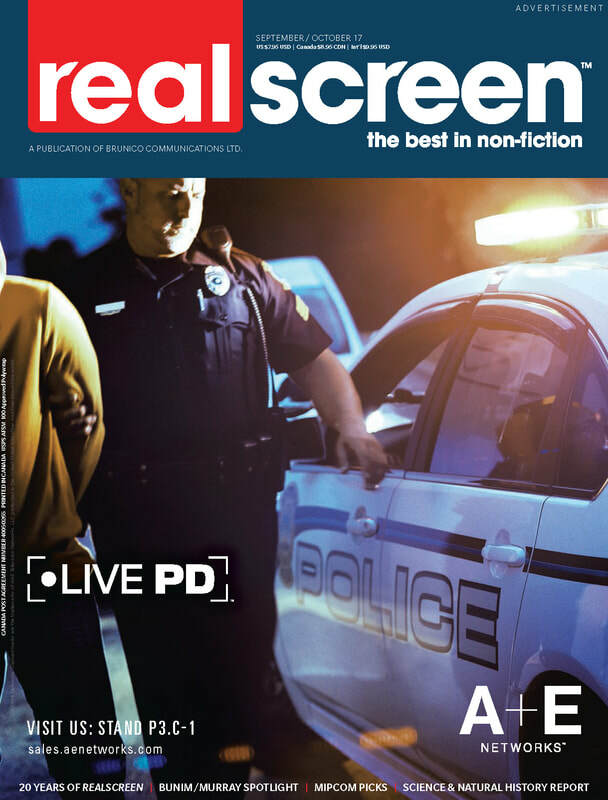 In 1997, Realscreen published its first issue. Over the past two decades, we've charted the evolution of the non-fiction content industry, chronicled the rise of reality, and explored the emergence of new platforms aplenty. In honor of 20 years of Realscreen, we've rounded up several influential producers and network execs to discuss the evolution of your industry, from their perspective. BARRY WALSH, REALSCREEN: You have seen the explosive growth of the cable industry as both a network exec and a producer. Now that we're entering a new era, how can networks and producers better understand each other's challenges, and perhaps help to address them? JOHN FORD, NPACT: I think everybody understands that we're all in this together but sometimes that seems to get forgotten in the heat of a particular moment. We need to continually remind ourselves of that and we're going to be more successful if we better understand the evolution of one another's businesses. Looking at the content companies or the network groups, as a producer, you have to understand that their business has been disrupted by a variety of factors – DVRs, OTT services, fragmenting of the audiences, cord-cutting. The basic building blocks for the networks' business haven't been destroyed – they've just been damaged by disruption and competition. So while we don't want to exaggerate, it's gone from being an extremely good business to a very good business. And that is a shock to anyone who is used to the massive growth of the 90s and 2000s. Similarly, the networks need to understand the ripple effect on the production community, where it is facing margin pressure – a lot of it instituted by the networks – and there are rising costs in labor and other costs associated with production. You can't, as a producer, attract the investment capital you need to run your company if your margins are too low. The networks and the producers need to find solutions that will benefit both of them, based on that mutual understanding. What do you see as the most positive trend impacting the non-fiction production community over the past decade? One of the things that doesn't get discussed very much is how well non-fiction performs in the ratings, relative to its cost. You look at any given evening, and the original productions and how well they do, and anywhere from seven to 11 out of the top 15 programs are non-fiction programs. We know they cost a lot less than sports, drama or comedy. That makes it very cost-effective. Non-fiction is still very competitive in the old television ecosystem. That's something we need to remind everybody of periodically. What do you think the cable TV industry will look like in three to five years? We've already seen something of a tip-off from Discovery and Scripps in conversations about how many networks they plan on focusing on – they've already said that eight of them would receive the most significant amount of investment. So that leaves out about six or seven. If you take that across the industry, Viacom has also said they are focusing on six networks. If you follow that logic, what will happen over the next three to five years is that you'll have fewer networks available via cable, but those networks will tend to be stronger because you've effectively culled the herd of those networks that, in this environment, can't pull their own weight. With those networks, they will be gone, or turned into streaming services, or something else. What do you think has been the best unscripted program of the past two decades? The Real World kicked off the whole idea of reality TV, and you can't leave that out of the conversation. Moving forward to today, I think one of the most innovative programs around is 60 Days In from Lucky 8 and A&E. For galvanizing the family and getting them all to sit around the TV, you have to look at American Idol as a signature accomplishment. And even though I'm not supposed to talk about something I've been involved with, my favorite of all non-fiction programs is still Deadliest Catch. What would be the best advice that 2017's John Ford would give to 1997's John Ford? In 1997 I had the good fortune of being in charge of TLC, and I can remember being out on an ad sales tour of the West Coast and being in San Francisco for a couple of days. One of our ad sales executives at the time was kind of persistently asking me to meet with one of his clients: "They think that because we have this Great Books series on TLC, there's an opportunity for some kind of collaboration." Finally, I agreed to a cursory meeting just to get this guy off my back, and the company had developed some kind of proposition about selling books over the Internet. Nothing came of the meeting, and while it seemed irrelevant at the time, the name of the company was Amazon.com. So my advice to 1997's John Ford would be to take as many meetings with that company as you can, and buy the stock. Here's a printable/PDF version of Barry Walsh's interview with John Ford.